The Tignish Heritage Inn is owned and operated by Tignish Initiatives Corporations, a non profit community development corporation. 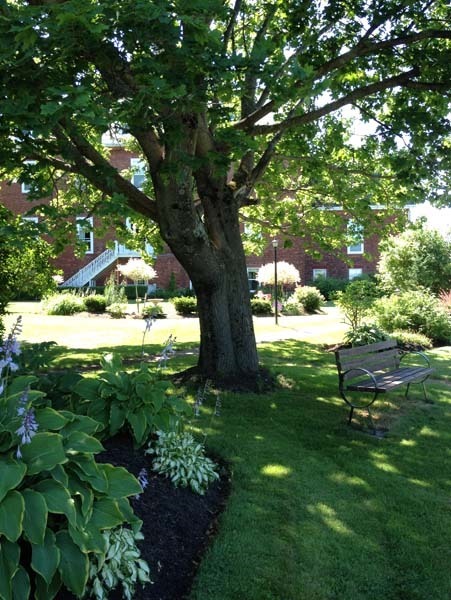 The board of directors had a vision for gardens at the Heritage Inn for a number of years and their expectations have been pleasantly exceeded as the beauty and atmosphere is more then they could have asked for. Garth Davey has done a phenomenal job in designing and supervising the construction of the gardens, and Jamie McHugh as well, in construction and upkeep over the years. 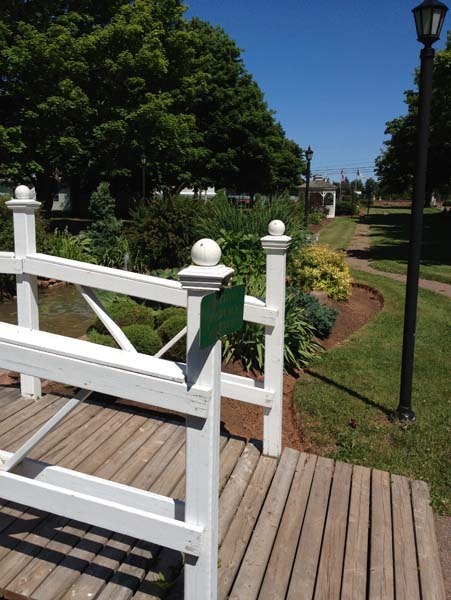 Tignish Heritage Inn and Gardens is proud of their part in the enabling the community to be awarded the First Place distinction from Communities in Bloom in the 2013 competitive beautification category of Canadian Communities up to 1000 people. From their conception, these gardens were envisioned as community memorial gardens. As they are set in an ideal location next to the church, the community as well as visitors to the area can stop by any time to appreciate the beauty and serenity in the memory of those who have gone before us. There are a range of donation options to accommodate everyone who wishes to participate. The funds will be used for memorial signage as well as continued development and upkeep of the gardens. These gardens are here for everyone to experience and enjoy, and a donation is not required; it’s simply an option for those who would like to take part. Donations to the gardens will be accepted at the Heritage Inn and at the office of Tignish Initiatives in the Dalton Annex Building.